We are engaged in trading a wide range of hand painted pillow cover. 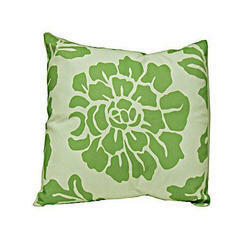 Add a splash of colors to any room with this hand painted pillow covers. The rustic brown with dazzling yellow creates a perfect base for the beautiful floral hand painted. We are offering a wide range of Hand Painted Pillow Covers to our valuable customers. These lightweight, comfortable pillow cover offered by us is available in a variety of fabrics. These pillow covers can be custom designed. We offer our clients with the customization of these fabrics painted designer bed sheet at affordable prices. front of the cushion cover. Our photo pillow comes with plump 14"x 12" cushion pad . Ready and dispatched same day if order is received by 2 Pm Indian Standard Time. The Over all Pillow Size is 15"x12"
We are engaged in manufacturing and exporting a wide range of hand painted pillow cover. 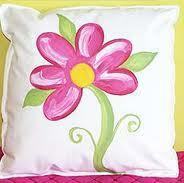 We offer to our customer wide range of Hand Painted Pillow Covers.